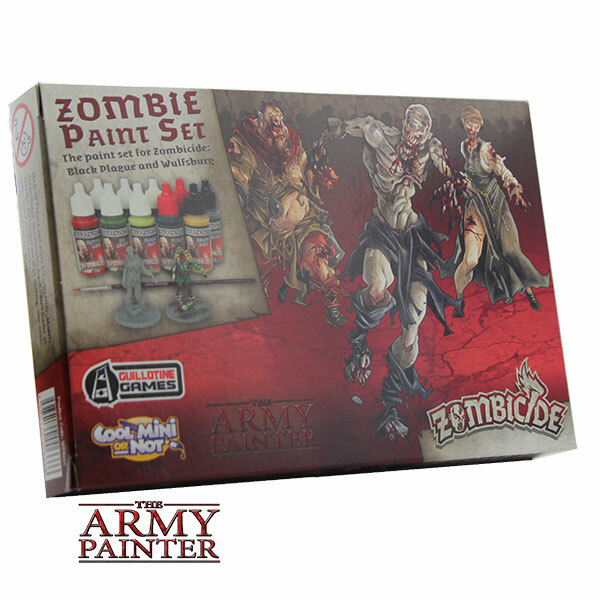 Produktinformationen "Warpaints Zombicide Black Plague Set"
This special Warpaints Zombicide Black Plague Paint Set is for the forthcoming Zombicide Black Plague boxed game and the Wulfsburg expansion. This stand-alone Warpaints set gives you the colours you need for painting zombies, ferocious wolves and grim survivors for your Zombicide Black Plague game. 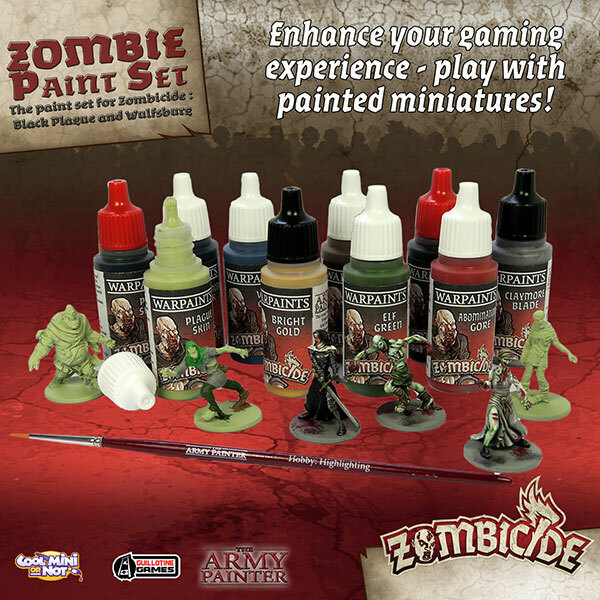 Includes 10 special formulated Warpaints designed specifically for Zombicide: Black Plague & Wulfsburg - this set enables you to enhance your gaming experience by playing with painted miniatures! Weiterführende Links zu "Warpaints Zombicide Black Plague Set"
Kundenbewertungen für "Warpaints Zombicide Black Plague Set"